NHL center who made his debut with the Buffalo Sabres in 2009 and quickly became one of the team's top offensive producers. While playing for the WHL's Medicine Hat Tigers, he once scored six goals in a single game, one short of the WHL record. 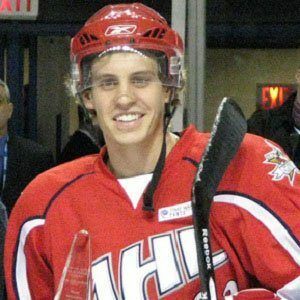 He was selected 26th overall in the 2008 NHL Draft. He was born in Edmonton, Alberta, Canada. He and left winger Thomas Vanek were teammates and frequent linemates on the Sabres.